With 21% of the CMO budget spent on Paid Media, according to CMO Spend Survey Nov 2018 Gartner, it’s absolutely crucial to have real-time insight in ad spend. Though in our daily practice, we see a different world: CMO’s hardly have insights in their advertising spend and their ROI on paid search. Let’s deep dive into how to visualize this data in order to make it useful for effective management of the advertising budget. As a CMO, being the final responsible for the digital marketing department, you want to measure your team’s effectiveness. This doesn’t necessarily mean that all data on each level of detail needs to be shown, but you do need to have real-time access to relevant data. Should you spot any inconsistency or notable changes, you will always be able to center in on the details. A real-time dashboard is the ultimate solution to keep track of your advertising data. Are you using multiple data sources? In that case, we advise you to use multiple dashboards and rotate these on a wall display. To get a proper view of your data, you firstly should determine which data it is that you would like to manage. First step? Define your exact KPIs. Usually this is the data you would like to see on the front-end of your dashboard. These could be indicators such as number of clicks, impressions or your CTR. 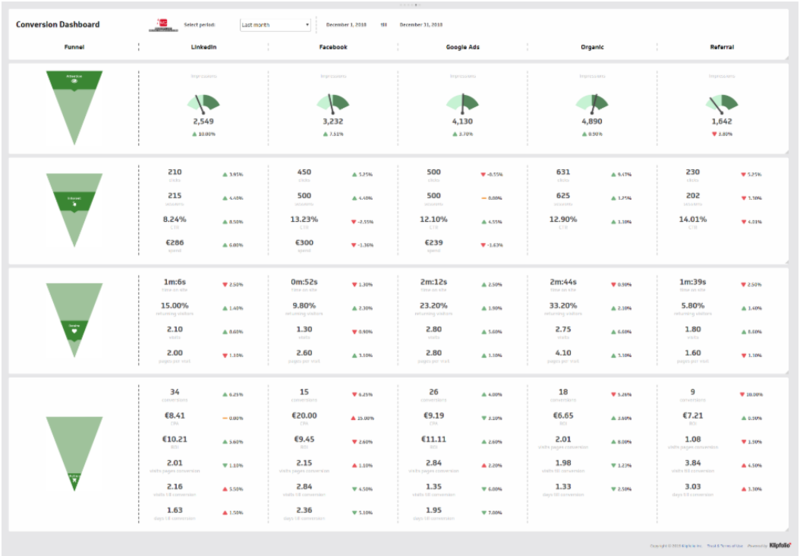 But when designing a real-time dashboard, it’s even more important to know what these KPIs mean to your figures and data on the backend. As examples: What data do you find in Google analytics? Do you get engaged visitors from your campaigns on your website? You’ll see this data as a bounce percentage, time-on-site and figures like the average number of pages viewed per session. All this data should be displayed in your dashboard for you to be monitoring and gaining insights on your ROI. What’s the ROI on my ad channel? When investing in online advertising campaigns, it’s obvious that you want to know the ROI of your campaigns. Not only the high-level numbers like number of clicks, impressions and engagement, but specifically the bottom line of the campaign - your return. How much did you spend on the campaign and how many dollars did you end up earning? This data will determine if your campaign was a success. The setup of your campaign will influence whether your campaign will result in a financial outcome. Awareness campaigns, for example, will not contribute to your ROI straight away. But by using attribution models, you’ll be able to measure the impact of these campaigns to your results. What will be your action when a campaign is not performing? Will you completely stop the campaign or just adjust your approach? It’s important to consider the potential of your campaign before taking action. Check how your campaign is performing compared to the results you get on other campaigns on your website. Is your campaign performing poorly on CTR, impressions or clicks? If that’s the case, you’ll need to adjust your campaigns on the advertising platform. When you notice that visitors don’t seem to be finding their way when navigating your website, you’ll probably need to visualize the behavior of your visitors by using conversion optimization to improve results. To get insight into the data described above, try out the AIDA model. 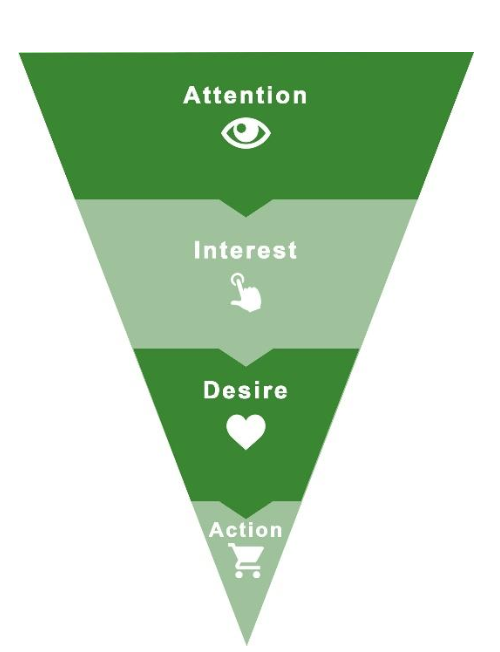 This model uses 4 stages in which your potential customer will be in any given moment. Below we’ll explain the 4 phases: Attention, Interest, Desire and Action, and show how they can be used in a real-time dashboard. In this first stage, the customer is exposed to your message. The message should get attention by your target audience, it needs to make them curious. This is measured in the number of impressions when doing advertising campaigns. What’s the reach of your campaign and how many people can be reached? After the Attention stage, it’s important to figure your relevancy. Is your landing page fulfilling the needs of your visitors? The second stage visualizes whether the interest of your visitor is drawn. This is shown in online statistics such as clicks, sessions, costs and CTR. When your campaign is performing poorly, it’s important to align the Attention and Interest stages. The Desire stage is about converting interest in your service or product to desire. Your target audience needs to get the feeling that they really do need the product and feel they can’t live without it. In this stage, your visitor determines whether they’ll buy your product or your competitors’ product. The longer the visitor spends time on your website and the more returning visits, the higher your chances on conversion. This is the final stage in which you’ll be able to influence the visitor to specifically buy your product! This stage equals goal completions. This is what you aim for in the first place: conversions. Data or KPIs measured in this stage are number of conversions, CPA and ROI. Other relevant data could include: number of visits to conversion pages, number of visits before converting and number of days until converting. 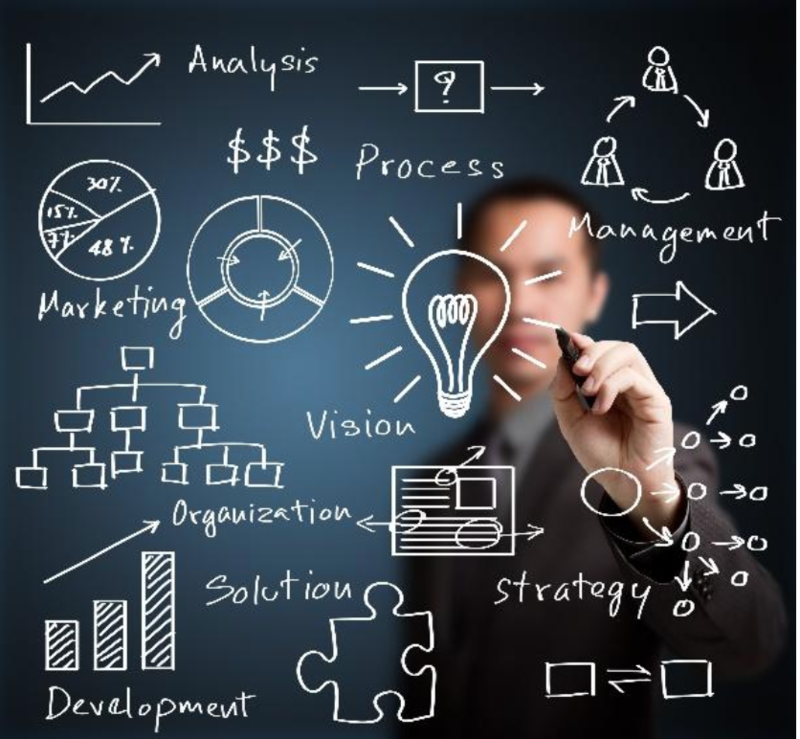 Real-time insights into data is a must have for every CMO. Engagement and conversion data being especially crucial for effective management of advertising campaigns. Use the AIDA model to visualize the different stages the visitor and leads are in. This will help enable you to analyze and understand how to adjust your campaigns.